The iconic ZL1 has been reinvented for the sixth-generation Camaro and is purpose-built to challenge the most advanced sports coupes in the world. A refined, driver-focused cockpit helps you get every last bit of performance from the supercharged 6.2L LT4 engine. Rocketing from 0-to-100 in just 3.5 seconds, running 402 meters in 11.4 seconds and pulling up to 1.02G, ZL1 is a sports car designed to dominate in any setting. Sweeping design accommodates airflow in this performance masterpiece. An all-new front fascia features massive upper and lower grille openings for maximum cooling. A functional carbon-fiber composite hood air extractor moves air from the engine compartment to decrease lift, while a more aggressive front splitter and rocker moldings complete this sophisticated aero package. From the broader front fenders that house wider wheels and tires, to the downforce of its three-stanchion spoiler, ZL1 is designed to maintain a high level of performance from the first lap to the last. Take hold of the flat-bottom, suede-wrapped steering wheel as the roar of the dual-mode exhaust rings through the tech-appointed cabin. Standard RECARO® performance seats with sueded-microfiber inserts put you into the perfect position with cleverly designed bolsters that keep you planted in place and help reduce arm interference during quick shifts. Put your hand on the suede shifter, press your foot down on the accelerator and you’re off. Virtually every design decision was made with performance and aerodynamics in mind. A functional carbon-fiber composite hood air extractor pulls heat from the engine compartment and helps reduce lift. The grille and front fascia provide even more airflow with large outboard cooling ducts to push air to the brakes. Even the front Chevrolet bowtie badge has been hollowed out for maximum airflow. Underneath, the air dam is designed to further reduce drag and increase downforce. A wing-style rear spoiler and diffuser complete an aerodynamic package that helps ZL1 maintain a high level of performance from the first lap to the last. Posting fast times is one thing. Posting them at the grueling Nürburgring Nordschleife is another story altogether. 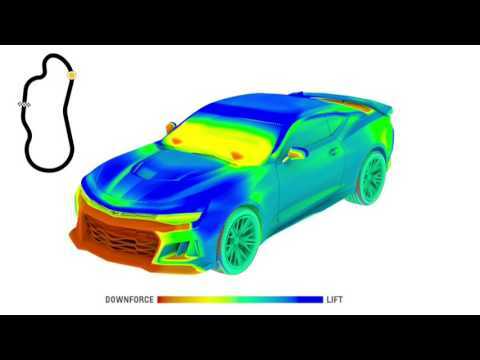 Watch ZL1 utilize 650 horsepower, Magnetic Ride Control™ Technology and a track-honed aero package to complete this world-famous course in a blistering 7:29:60, besting the last-generation ZL1 by nearly 12 seconds. ZL1 is the most powerful Camaro ever produced. Under the hood, you’ll find a supercharged 6.2L LT4 V8. The Eaton supercharger features a new intercooler design that provides more efficient heat exchange and prolonged, sustained power – 650 horsepower and 881 Nm of torque. While the competition fades, ZL1 delivers consistent, powerful performance. Choose between a standard 6-speed manual transmission with Active Rev Matching or an available all-new paddle-shift 10-speed automatic. With supercharged performance of this caliber, cooling is crucial. A 36 mm high-performance radiator with dual auxiliary outboard radiators lays the foundation for a track-honed powertrain cooling system. Standard engine oil, transmission and rear differential coolers complete the package to keep things cool during extreme driving. Built on a lighter and stiffer platform than previous generations, ZL1 is equipped with a suite of performance technologies that are designed to intensify the fun of the drive while cutting time from your laps. The standard 20" forged aluminum wheels are wrapped in 285/30ZR20 front and 305/30ZR20 rear tires that are perfected for the track. Large Brembo® 390 mm x 36 mm 6-piston front and 365 mm x 28 mm 4-piston rear rotors give ZL1 precise braking while resisting fade. Do not use summer-only tires in winter conditions, as it would adversely affect vehicle safety, performance and durability. Use only GM-approved tire and wheel combinations. Unapproved combinations may change the vehicle’s performance characteristics. For important tire and wheel information, see your dealer. Magnetic Ride Control™ suspension reads road conditions 1,000 times per second. As you plunge into a corner, a charge hits the patented suspension fluid, stiffening the suspension and reducing body roll instantaneously. This system helps you squeeze every bit of performance from the LT4 engine while keeping your Camaro planted during extreme cornering. Standard Electronic Limited-Slip Differential (eLSD) on ZL1 Coupe helps keep your ZL1 planted through extreme cornering. Integrated with thePerformance Traction Management system, eLSD helps you achieve quicker lap times by providing high-speed stability, improving “turn in” response and corner exit speeds. 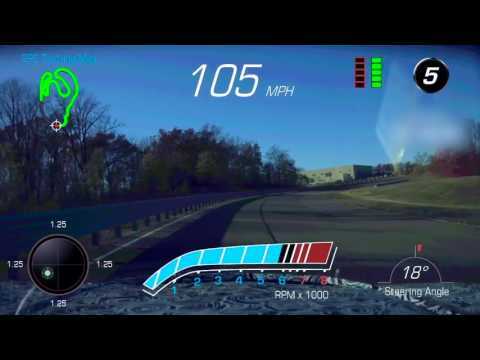 The available exclusive Chevrolet Performance Data Recorder logs video of your driving sessions, along with real-time performance data, onto an SD memory card so you can analyze your technique and improve your driving abilities. Available Cosworth Toolbox software lets you comb through performance and lap metrics with a race-derived program that acts as a virtual driving coach. And when someone else is driving the car, Valet Mode can capture video and data for additional peace of mind. Custom Launch Control uses Performance Traction Control to keep the rear tires spinning at the correct speed and allows you to adjust both your launch RPM and wheel slippage through the Driver Information Center. A Line Lock feature lets you lock the front wheels to enable the rear wheels to spin, warming the tires for maximum grip at the drag strip. ZL1 isn’t just equipped with performance technology, it also offers driver-centric tech like a Head-Up Display, a wireless smartphone charger*, and Apple CarPlay™* compatibility to upgrade the driving experience. * The system wirelessly charges one PMA- or Qi-compatible mobile device. Some devices require an adaptor or back cover. * Vehicle user interface is a product of Apple and its terms and privacy statements apply. Requires compatible iPhone and data plan rates apply. Apple CarPlay is a trademark of Apple Inc. iPhone is a trademark of Apple Inc., registered in the U.S. and other countries. an adaptor or back cover. Along with all the performance technology integrated into this precision driving machine, Camaro offers impressive safety technology to help you stay safe and in control when rubber meets road. *Always use safety belts and child restraints. Children are safer when properly secured in a rear seat in the appropriate child restraint. See the Owner’s Manual for more information.